Is Donald Trump Lying about his Church Attendance? Many people who favor Donald Trump as a presidential candidate excuse some of the harsh and cruel things Trump says from time to time by saying that Trump is just being honest. But is he? Trump, when asked about his church affiliation, named a church and says he goes there ‘a lot’. But the church says he is not an active member. He also claims to love the Bible but couldn’t name a favorite Bible verse. My concern about that is that he may be deceiving people by making these claims about his church activity and Bible reading to get votes. I think a truly honest man would say ‘I only rarely get to church because of my business activities’ and ‘I don’t have time in my busy life to read the Bible as often as I should.’ Because if a man is any sort of a faithful Christian he certainly would not want to claim a level of church attendance and Bible reading he hadn’t achieved. I wish that some fair-minded reporters who don’t hate the GOP and who want to give Trump a fair chance would look in to some of the claims Trump makes. For example, Trump says he has given up his former pro-abort position and now is prolife— though he won’t defund the Planned Parenthood abortion mills. Someone should find out which prolife organizations Trump has given donations to, and which prolife protests and events he has attended. And which prolife leaders he has met with personally. I am bothered when prolife Christian people proclaim that Trump is the only honest candidate and the only one who will take prolife actions such as defund Planned Parenthood. These people need to do their homework and investigate Trump and the other candidates. Christians believe we live in a fallen world, tainted by human sin. We should keep that in mind and not give any political candidate automatic trust. As Ronald Reagan said, trust but verify. Even if Trump turns out to be a honest Christian man who has developed strong connections with the prolife community, it is wise at this point in the political game to have more than one candidate on your list. 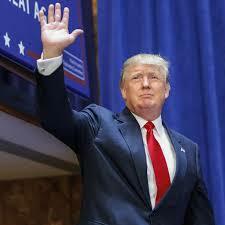 Any one candidate could have to drop out of the race for any number of reasons. Or pass away from an unexpected heart attack. We need to be prepared to support other candidates in the event our guy isn’t the nominee. Remember, it may have been people who stayed home on election day because of a dislike of Mitt Romney that gave us a second Obama term. To be fair to Trump, we must remember that the church may have a different idea of what going to church ‘a lot’ means than a busy businessman like Donald Trump. And there may be a political ax to grind, especially if the congregation is affiliated with the liberal Presbyterian body that accepts abortion, gay marriage, and varying definitions of the role of Jesus Christ. We have to ‘trust but verify’ with church spokesmen, too. 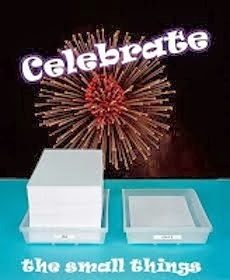 Celebrate the small things: a blog hop. This week our parish is hosting two Sisters from the Parish Visitors of Mary Immaculate. These Sisters have a charism (spiritual gift) for going out into the community to find fallen-away Catholics who have unmet spiritual needs. What they are doing in our parish is going door-to-door and asking if anyone in the household has been baptized Catholic. If there are any Catholics, we ask about their needs— if there are children who haven’t yet had religious education, if there is a couple in a mixed marriage who might like to get their marriage blessed by the priest, or a sick person who needs a visit from the priest. The Sisters take members of our parish out with them on this mission so that we can learn to go out into the community as they do. I’ve gone out twice so far— once with each Sister. We have talked to several people. Some of them are older, sick people who just seem to welcome someone to talk to. In one household we encouraged a man to talk to his adult son about having a child baptized. This man talked to us for close to an hour. I think he was lonely, and I think reaching out to him— to let him know that the Church cares about him personally— was a good thing. Yesterday we were warned by a lady not to bother going to a certain house because the man who lived there didn’t like organized religion. Sister Mary Lucia went and knocked on the door anyway. It turned out that the man who lived there had become Catholic when he married, had raised his children in the faith, but after his wife died of cancer did not go to church and considered himself agnostic. Yet he was willing to talk to the Sister for quite some time. She made it clear that he would be welcomed back at the church if he chose to go back. What impresses me is how a small thing like going to visit with a person in their home can be a help to lonely people. I know that when I am suffering from lack of human contact, I don’t always go out of my way to do things like go to church or ask people for attention. It’s hard to do that. But if someone comes out to such people and is willing to listen to them and shows concern— well, even if you don’t believe there is a God you can see how this can help some very lonely people. I’m going to be going out with the Sisters again today. This will be the last time, and the Sisters will be leaving soon. But I hope other members of the parish will continue with the work of home visits. We just don’t know how many people there are in our community, suffering from loneliness, that we could help. So as soon as some ‘gun control’ law makes every single gun in the world magically disappear, the hunters and rugged individualists will go into their home workshops and get to work. In twelve hours there will be guns in the hands of these people. In a week the criminals will be aware of this possibility and will set up gun-making workshops to arm themselves first, and then to sell guns on the black market. People such as the shooter in Virginia yesterday, if they cannot figure out how to make their own gun, will have the option of getting a black market gun, or buying, borrowing or stealing one from a hunter of their acquaintance. They will also have the option of killing with knives, crossbows or chainsaws. Writing Avoidance: Should there be 12 Steps for that? If you are a regular reader of this blog, you may be aware that I suffer from chronic writer’s block. But actually being blocked is not my biggest problem. That would be Writing Avoidance, or Writer’s Avoidance. In other words, not sitting down to write the kind of things I am NOT blocked about, such as poetry. Or avoiding doing practice writing sprints, or blog posts. For me, I don’t get blocked with these things. I don’t know any stats, but I would imagine that writing avoidance is much commoner than true writer’s block, which is where you sit down to your writing project and can’t make the magic happen— either you can’t write a word, or you can only add a few weak and feeble sentences that don’t really advance anything. 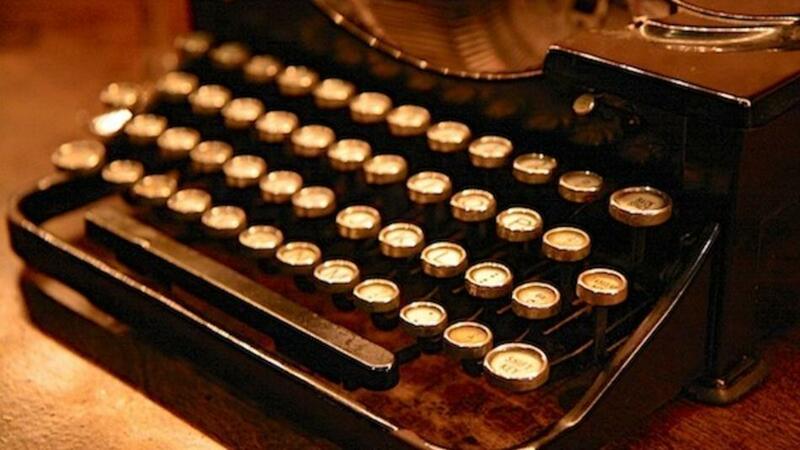 Writing Avoidance, even if connected to writer’s block, is a bad habit. Perhaps even an addiction if it persists. So what do people do about addictions? Twelve Step programs, such as Alcoholics Anonymous or Narcotics Anonymous are one thing that works for many. I learned about the Twelve Steps when there was a book sale at the Saint Vincent de Paul thrift shop— you could fill a bag of books for $2. I saw some AA and Overeaters Anonymous books and took them. I decided they might help me with sticking to my low-carb/ketogenic diet, since I really am addicted to carby foods. And working the program does seem to help even though the only group meeting I can attend is one in a Facebook group. Step One: We admitted we were powerless over writing avoidance—that our lives had become unmanageable. If we had power over our writing avoidance, we would have fixed it by now. Step Two: Came to believe that a Power greater than ourselves could restore us to sanity. God can help us when we can’t do things by ourselves. Step Three: Made a decision to turn our will and our lives over to the care of God as we understood Him. Put God in charge of the problem instead of relying on our own willpower. Step Four: Made a searching and fearless moral inventory of ourselves. To find the roots of our not-writing and other avoidant behavior. Step Five: Admitted to God, to ourselves, and to another human being the exact nature of our wrongs. Wrongs? Well, if you promise yourself you will write daily and you don’t, that’s not right. It’s a failure, at least. And if you promise to write something for others— say, a book review— and you don’t, you are letting someone down. And we need to admit this to another human being— as I am starting to do with this blog post. Step Six: Were entirely ready to have God remove all these defects of character. We have to stop clinging to the status quo in order to change. Step Seven: Humbly asked Him to remove our shortcomings. Just because we can’t overcome our writing avoidance with the force of our will, doesn’t mean God won’t help if we humbly ask Him. Step Eight: Made a list of all persons we had harmed, and became willing to make amends to them all. To my mind, this isn’t just about the people we’ve harmed through our writing problem, like the writers whose books we failed to review, or the family members who didn’t have our attention because we were fully occupied with our stalled writing career. It’s all the people we have harmed for whatever reason. Because we can’t expect help from God when we are not dealing with our treatment of other people. Step Nine: Made direct amends to such people wherever possible, except when to do so would injure them or others. Anyone can SAY they are sorry, and many do who don’t mean it a bit. Making amends means making things right. It’s like if you wronged another writer by swiping his dictionary, you either give it back or buy him a new one. If you have disparaged or mocked another writer online, you might write something positive about that writer to make amends. Step Ten: Continued to take personal inventory, and when we were wrong, promptly admitted it. The 12 Steps are a way of life for those who are serious about it. And since the original AA was based on a specifically Christian program for overcoming alcoholism, living the 12 Steps has a lot in common with living the Christian life. And I suppose it has a good deal in common with living the life of a good Jew or a good Buddhist as well. Step Eleven: Sought through prayer and meditation to improve our conscious contact with God as we understood Him, praying only for knowledge of His will for us and the power to carry that out. I think if you want to rely on God, your Higher Power, to help you with your writing avoidance, you have to stay in contact with Him through prayer and meditation. Step Twelve: Having had a spiritual awakening as the result of these steps, we tried to carry this message to avoidant writers, and to practice these principles in all our affairs. Wow! I think I’m doing Step Twelve right now! I think that if you see that God has helped you with a problem in your life— whether that problem is writing avoidance, alcoholism or drug addiction— you want to tell others, and to help them experience the same thing. So: those are the Twelve Steps as adapted for avoidant writers. I think it might help me to go through the Twelve Steps for my writing problems. Sadly, there are no meetings of Avoidant Writers Anonymous where I can walk in and say “My name is Nissa A. and I’m an avoidant writer.” There is not much support out there for avoidant writers. But perhaps this blog post can be the start of something. Has Writing Avoidance ever been a problem for you? Is it a problem right now? Should you really be writing just at this moment? What do you think about doing a Twelve Step program for avoidant writers? If you enjoyed this post and you are on Twitter, would you consider Tweeting about it? Thanks a lot, if you do. Here are two click-to-Tweet links you can use. During the protests against Planned Parenthood, one group jumped in to the rescue of the abortion clinic chain— Satanists. 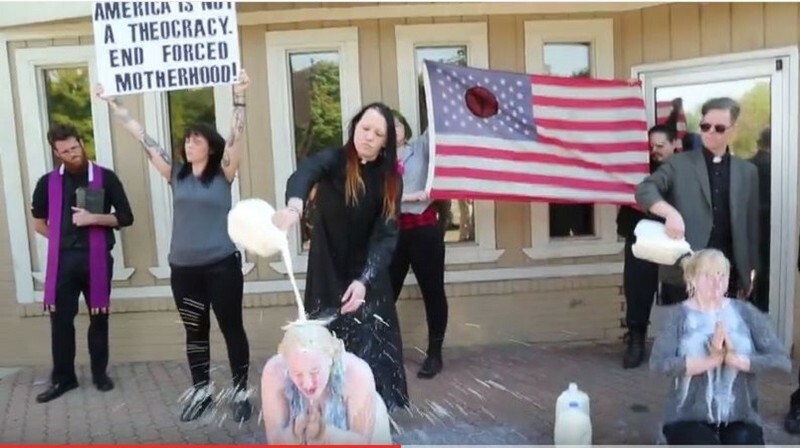 They poured milk over people for some reason— which is a waste of good milk. But I suppose wasting food rather than giving it to the poor is a Satanic ‘virtue’. This is interesting. Satanists— people who for whatever reason worship the guiding spirit of evil, Satan— recognize what Planned Parenthood does as something their ‘god’ Satan would approve of. What does this mean? Either the Satanists are dumb as rocks and don’t know that support from Satanists would hurt the image of the Planned Parenthood that they love— or they are in their hearts as offended by what Planned Parenthood does to unborn children as the rest of us, and they are using their theatrical devil-worship as a tool to express what Planned Parenthood really is. Either way, this revival of Satanism— and the MSM support for it in covering their demonstration with a straight face— is a troubling thing. Back in the day of Anton LaVey’s Satanism, most kids had some degree of religious education, if only second-hand from their more blessed companions. But today people are so ignorant they will literally sign away their immortal souls to Satan in order to get in to a much ballyhooed event, the dedication of a Satanic statue in Detroit. Actions like signing your soul over to Satan or involvement in literal Satan worship cause long-term damage purely in a psychological sense. If you can admit to yourself the possibility that God, Satan, angels and demons might exist and be carrying on spiritual warfare around us, the damages done will be seen to have an even greater effect. to defend us in battle. And to be our defense against the wickedness and snares of the Devil. So: the big day has arrived. ‘Fear the Walking Dead’ has had its first episode. Is it going to be as compelling as the original, or is it a pale imitation? The episode started with a junkie waking up in an abandoned church. He calls out for someone named Gloria. Searching the desecrated church, he finds a dead body. Then he located the girl— who has become a walker and is chewing on the flesh of another dead body. Panicked as the girl-walker prepares to attack him, the junkie flees out onto the street and into oncoming traffic, where he is hit by a car. The junkie, as it turns out, is Nick, the son of Maddie, a high school guidance counselor currently living in sin with a teacher named Travis. Maddie freaks when she hears how her junkie son was raving when found. It’s clear that Nick has encountered one of the earliest walkers in his area— but who’s going to believe the word of a junkie? Travis visits the church, which is a hangout for druggies, and does not find bodies— but does find a large blood stain. This new Walking Dead series starts out at the very beginning of the zombie epidemic, when life is still essentially normal. Or as normal as it can possibly get in Los Angeles. This is in contrast to the original series which begins with Rick waking up in a hospital which is overrun with walkers. I think it is a bit too early to judge the new series, but my first impression is that the characters don’t seem quite as compelling as the ones from the original series. Perhaps it is in part the Los Angeles setting. The original series has the advantage of being set in the real world (or what is left of it) rather than in the fantasyland/fairyland of Los Angeles. Who can take seriously characters in this setting? For Christians there are certain concerns. First, the desecrated church. I’m sure that the producers of the series will claim it is just a coincidence, but the setting of a church with a fallen cross in the center, abandoned first to junkies and then to walkers, seems all of a part with the other series which paints no good picture of Christians. In the Walking Dead world, Christianity is at best a weakness, at worst the motivator of a skunk such as ‘Father’ Gabriel, the fallen Episcopal priest. In spite of the flaws— some of which are present in most entertainment these days— I think this series has potential. We will have to wait and watch a few more episodes to make a full evaluation. Have you seen Fear the Walking Dead? What are your impressions? Will you continue to watch the show? Could it become as good as the original? Lutherans pray the rosary? But I thought that was just for Roman Catholics! When I was a Lutheran, I prayed the rosary. I modified the Hail Mary prayer to leave off the second part— the part that says ‘Holy Mary, Mother of God, pray for us sinners now and at the hour of our death.’ I felt a little guilty about praying the rosary since I was Lutheran, so I only ever told one other Lutheran. She prayed the rosary too— and she didn’t modify it. One year the Evangelical Lutheran Church in the USA (ELCA)— that’s the liberal Lutheran body in the USA— published a little thing about saying the ‘Lutheran rosary’ for Lent. 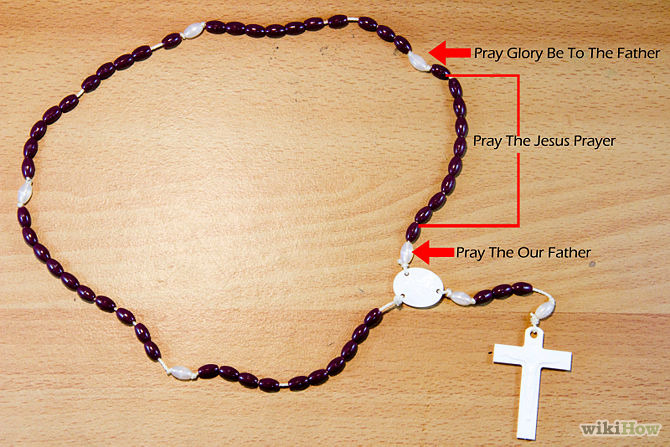 This Lutheran rosary is much like the traditional rosary, but for the Hail Mary beads one says the Jesus prayer: ‘Lord Jesus Christ, Son of God, have mercy upon me, a sinner.’ You meditate on the mysteries, which are the same as the traditional ones, except for the final two of the Glorious mysteries. In this Lutheran rosary, the Assumption of Mary is replaced by The Communion of Saints, and the Coronation of Mary in Heaven is replaced by The Heavenly Jerusalem. The Luminous mysteries added by Pope Saint John Paul II are not mentioned. 3. Martin Luther’s Evangelical Praise of the Mother of God. Note, 3-16-2018: The above link is no longer active. If you can find it on the internet somewhere else, please let me know in a comment. I want to make sure the material stays available to those looking for it. The short form of the answer is that the Lutheran rosary and the traditional rosary are not forbidden by the LCMS Lutherans. My personal opinion is that if one is starting to pray the rosary, it is not a bad idea to stay as close to the traditional rosary (Catholic rosary) as you can. There are many illustrated booklets produced by Catholics that have a picture illustrating the mystery and a brief meditation or appropriate Bible verse. There are also audio and video rosaries and scriptural rosaries— with a Bible verse for every single Hail Mary in the rosary. Do you pray the rosary? Do you know of any non-Catholics who pray the rosary? What do you think about the Lutheran rosary? I am at work at on a short ebook about the Lutheran rosary, which will be available soon. If you have experience with the Lutheran rosary, please comment below, especially if you have something to say about your own practice of this devotion.